Are you a fan of Rust? Are you a fan of cute pictures of crabs? Then you may enjoy this lovely t-shirt featuring Ferris the crab, the unofficial mascot for the Rust language project. 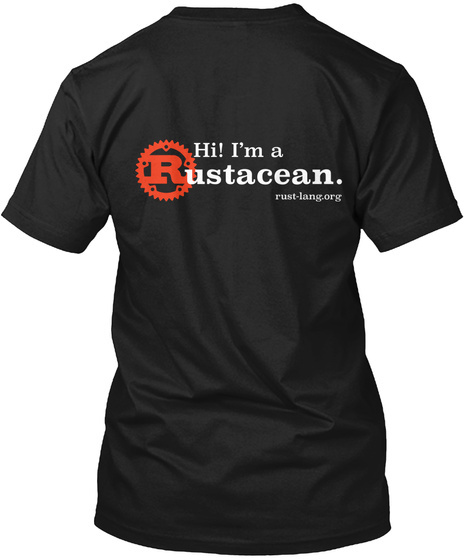 Show your rustacean pride! NEW: Rustacean swag for children! Available in kids and toddler t-shirts and baby onesies. UPDATE: There is a new version of this shirt available now, with both men's and women's sizes and no back printing.